The RF Filter set is a product of necessity. 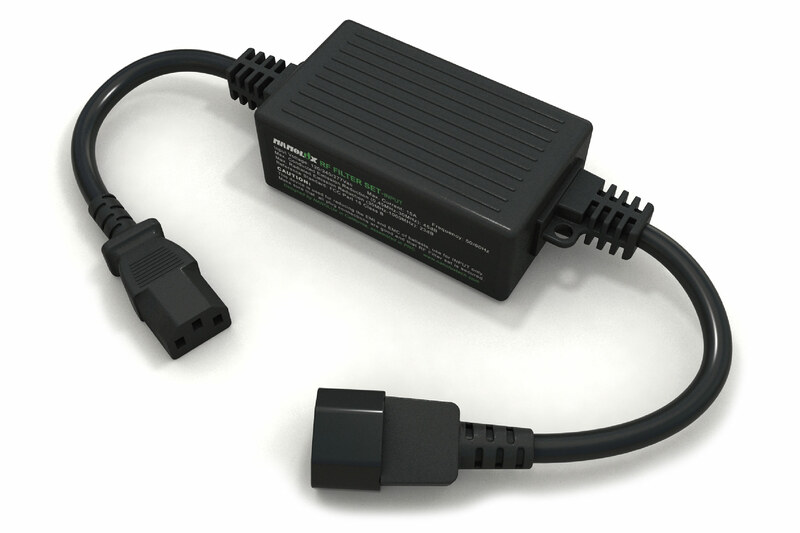 Over the past year the FCC has come down hard on electronic ballast manufacturers. 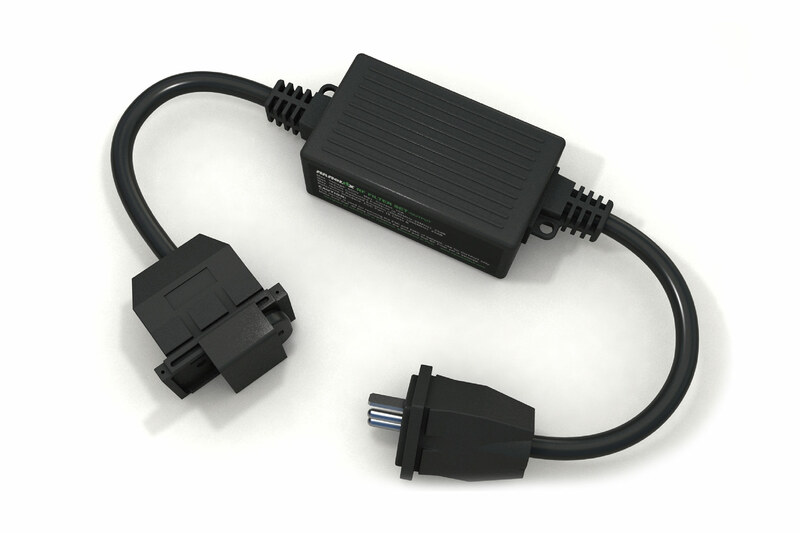 Until recently electronic ballasts received little attention. However, as more and more gardeners switch to electronic ballasts, the FCC has started to take notice when it comes to both emitted and conducted radio frequency interference aka RFI. The more electronic ballasts that are in operation the greater the disruption. This can cause issues both within your home and throughout your community and neighborhood. 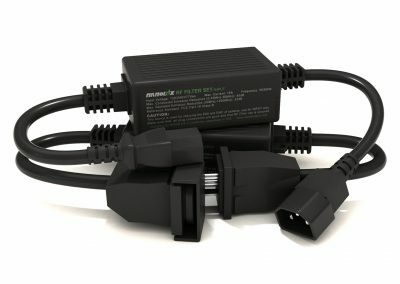 There are two types of RFI created by electronic ballasts. Both are regulated by the FCC, but each has its own distinctive characteristics. First, there’s emitted RFI which can disrupt electronic devices within your home that run on an RF signal. Such devices include some cable boxes, internet, Bluetooth devices, and even some hydroponic controller units currently on the market. The emitted RF filter attaches to the lamp cord, while the second type of RFI, conducted RFI, can be controlled by the conducted RF filter which connects to the power cord. The conducted RF filter protects your neighbors’ and public safety communications. If conducted RFI reaches the copper wiring of your home, it will turn the house into one giant antenna. This antenna of RFI can extend miles. It will disrupt all things operating on a radio frequency around 30kHz. This includes your neighbor’s cable, internet, and other RF devices, plus many emergency communications that run on this frequency. If disruptions are caused, the first call you will get will most likely be from your cable company telling you they need to come inspect the lines in your house because of the RFI being radiated from your home has caused your neighbors internet to go out. Next comes local law enforcement that needs to inspect the source of disruption for emergency communications. Needless to say, nobody wants this type of attention. It is now a legal requirement to have RF filters on all electronic ballasts. 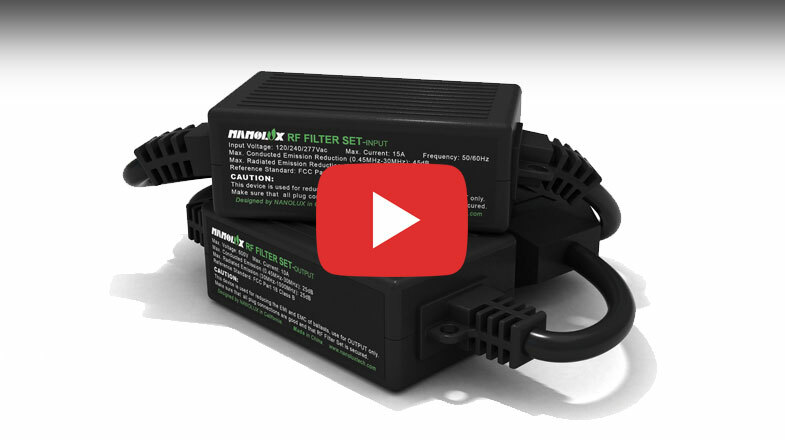 Nanolux is the first company to provide you with both an emitted and conducted RF filter. Other companies may try to sell you one filter, but that only solves half the problem. Get the full solution. Stay quiet and keep others safe with our RF Filter Set for just $39.99 MSRP. 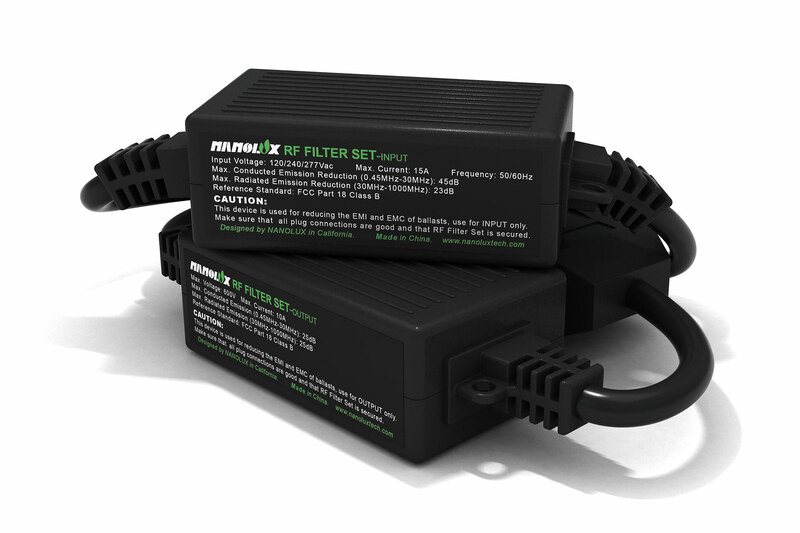 The Nanolux RF Filter set is designed for older style SE ballasts. 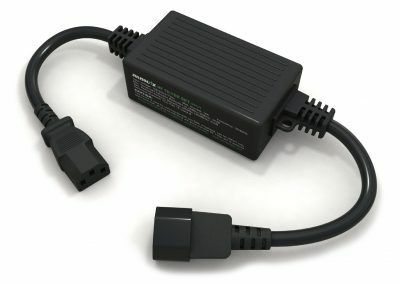 They are not designed to be used on newer DE ballasts that run over 100Khz. The input filter can be used on a DE ballast but not the output filter. 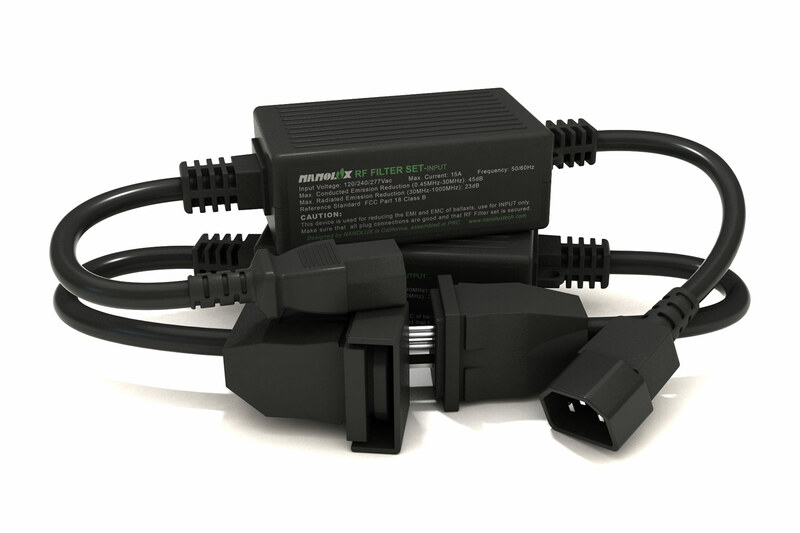 This device is used for reducing the EMI and EMC of ballasts, use for input and output respectively. Make sure that all plug connections are good and that RF Filter Set is secured. © 2019 Nanolux. All Rights Reserved.